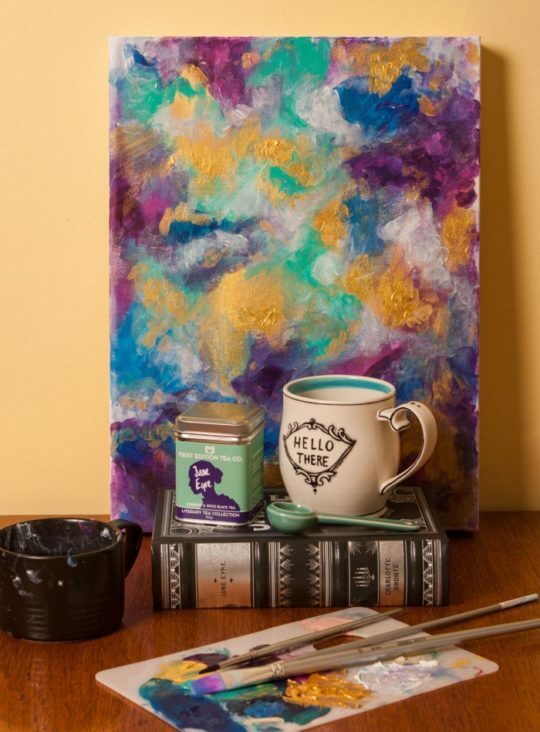 Reading a good book with a cup of favorite tea can now reach a whole new level. 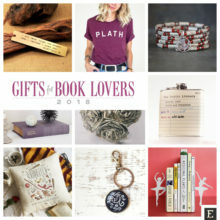 Are you a book and tea addict? 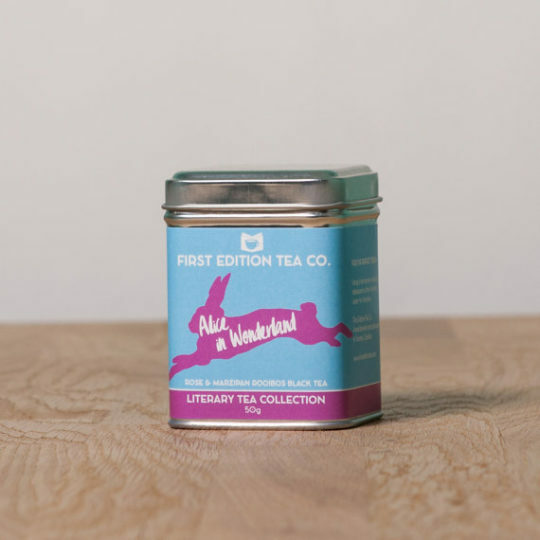 Then take a look at this: a collection of literary tea blends created by First Edition Tea Co. 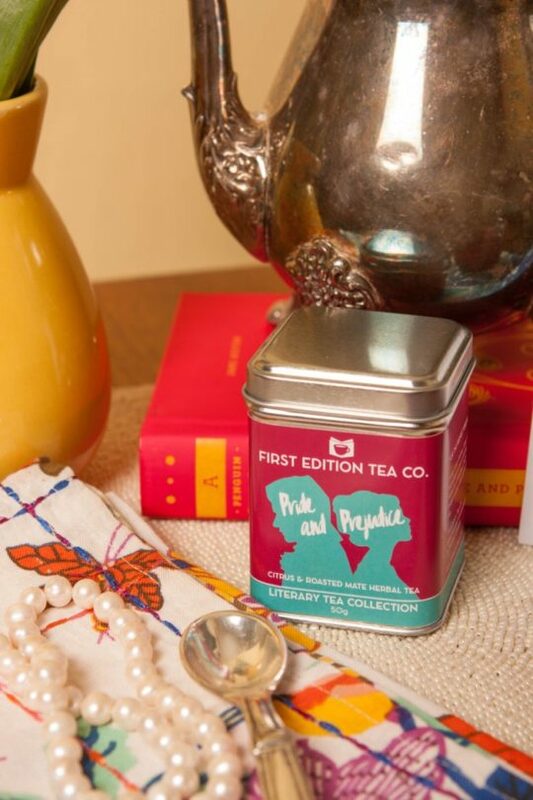 The Literary Tea Collection is inspired by classic works of literature. Until now, five blends are offered: Pride and Prejudice, Jane Eyre, Alice in Wonderland, The Great Gatsby, and Sherlock Holmes. How would you imagine the taste inspired by Sherlock Holmes? Shouldn’t it be based on traditional English Breakfast tea, with pipe smoke, and a hint of bergamot? The Great Gatsby is all about lemon and organic lavender. 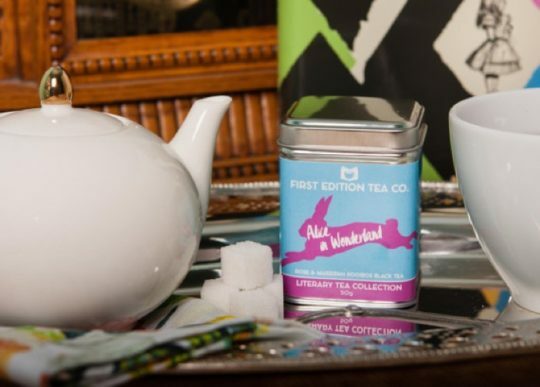 Alice in Wonderland offers a combination of rooibos, papaya, almond, and rose petals. 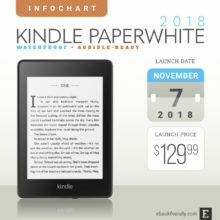 I start by reading the book and coming up with ideas. Characters, themes, places, atmosphere, food and flavours that are mentioned in the story. 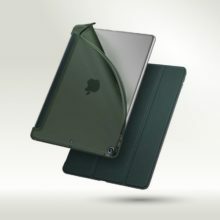 From there I come up with some tastes that I think would evoke these ideas. Then the fun begins! I get to go a bit mad scientist, blending different high quality teas, herbs, spices, flowers, roots, fruits, and other ingredients until I end up with a recipe that I think best represents the story. The blends are hand-crafted in Toronto in small batches, from high-quality ingredients. You can buy them in First Edition Tea shop on Etsy. They are available in 50 g tins. Each one costs $12, and you can make approximately 15 cups of tea. 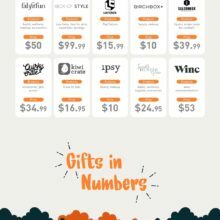 You can also buy the entire range of five tastes for $51. It’s $9 cheaper than buying each blend individually. Almond & Marzipan Rooibos Black Tea. 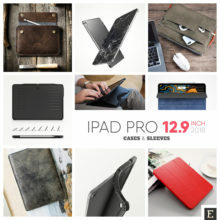 ⇢ Etsy – $12. 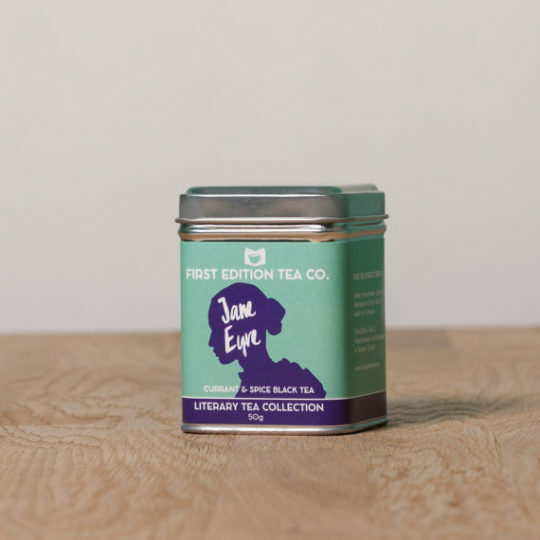 The Literary Tea Collection – Jane Eyre. This tea is anything but poor, obscure, and plain. A solid black tea with a wild and free heart, an independent will, and all the warmth of a hearth in a home long searched for. Reader, it’s delicious. Currant & Spice Black Tea. 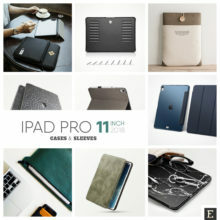 ⇢ Etsy – $12. 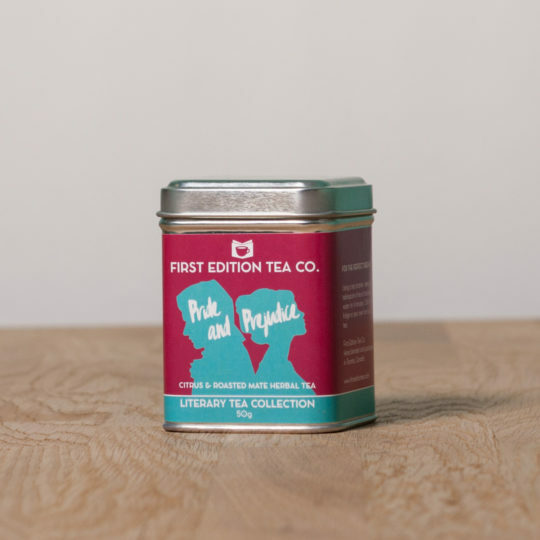 The Literary Tea Collection – Pride and Prejudice. The herbal blend looks beautiful, but it’s got a thrilling bite to it. 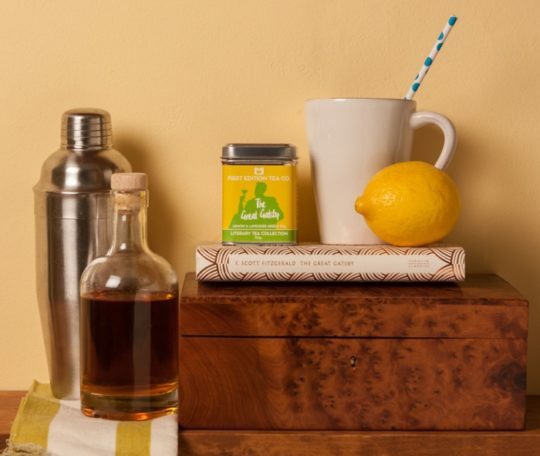 A sweet and fruity blend with a kick of tangy citrus and energizing roasted mate. A tea that will bewitch you, body and soul. Perfect for making iced tea. Citrus and Roasted Mate Herbal Tea. 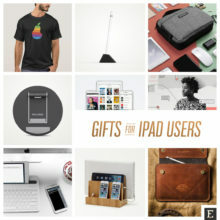 ⇢ Etsy – $12. 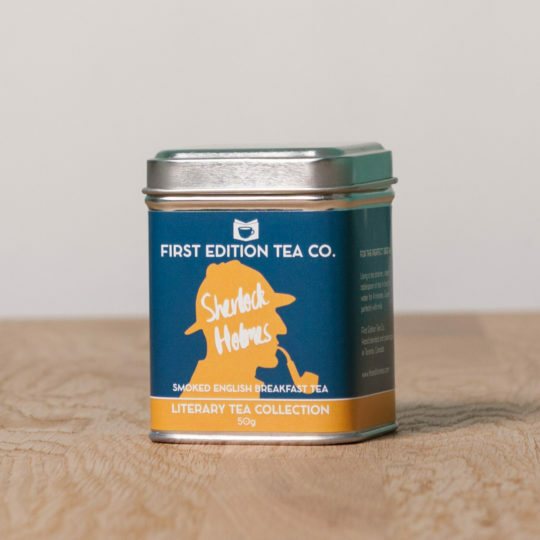 The Literary Tea Collection – Sherlock Holmes. 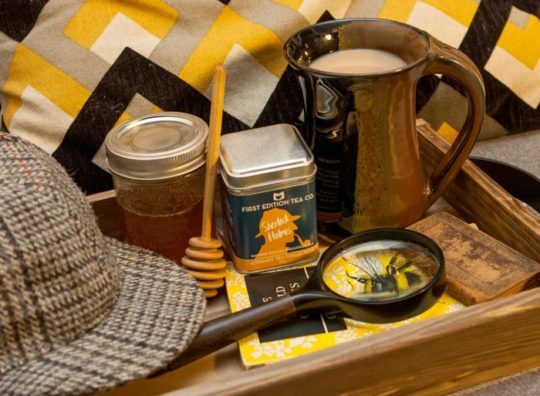 A mysterious blend of traditional English Breakfast tea packed with plenty of pipe smoke, a hint of bergamot, nettle, and a surprising touch of honey sweetness. Perfect for sipping while lost in your mind palace. It’s elementary. Smoked English Breakfast Black Tea. 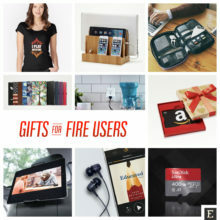 ⇢ Etsy – $12. 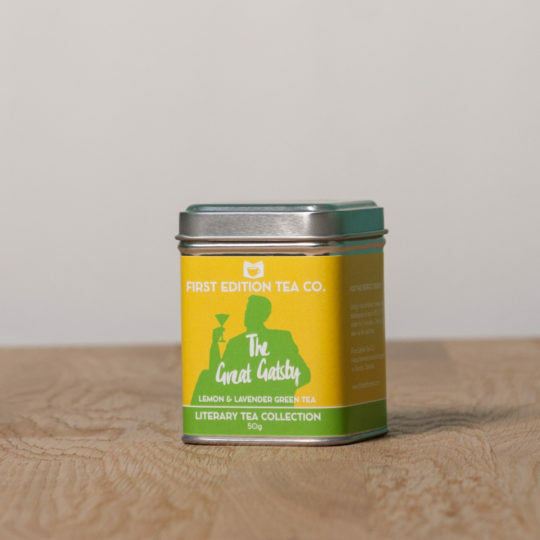 The Literary Tea Collection – The Great Gatsby. Perfect for a party, old sport. Starts out green as cash, brews up rich as gold. Tastes like lemon cakes and luxury. Chill and add a splash of gin for a really swell cocktail; a little party never killed nobody. Lemon & Lavender Green Tea. 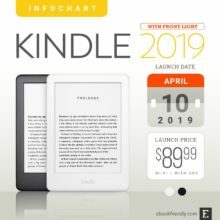 ⇢ Etsy – $12.